Image courtesy of Microsoft Office Images. It never ceases to amaze me the wonders that may arise when one wanders through records. It's kind of like going for a walk in the woods and taking a new path, one you've never been on before. You keep walking, unsure of exactly where you are going but you take in the scenery and breathe in the air. You may keep walking for so long that you might begin to feel lost. Then suddenly something appears in your view that tells you, you are not lost at all. In fact, you knew where you were going, you just didn't know it yet. I have made my home as of late on the website Newspapers.com. 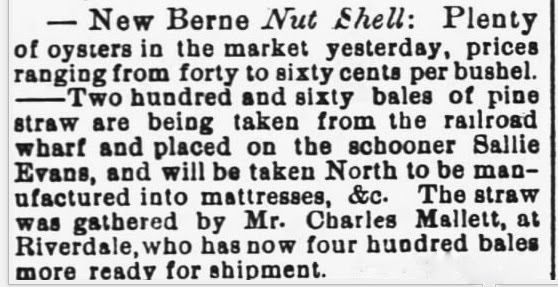 I have been reviewing through Newbern, NC newspapers looking for mentions of the little town of Riverdale where my Mitchell and Sampson ancestors resided. At first, I began looking for my ancestors names to be specifically mentioned. I found a couple of snippets but not much. Then I thought well, let me look at what was going on with the town as a whole. 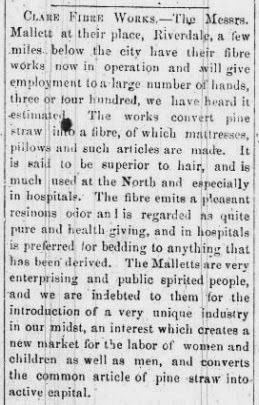 I came across a mention of the "Messrs. Mallett" and an interesting enterprise they started in this tiny town. So I kept looking through my search results and found more on these Malletts. 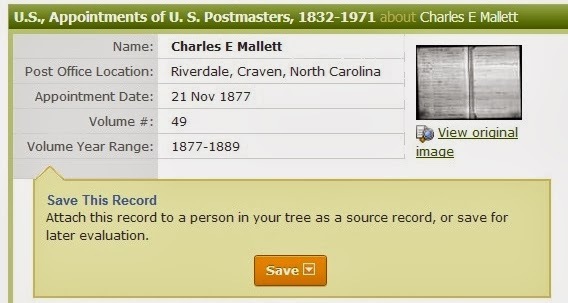 I soon found mention of a Rob (R. G.) Mallett, J. F. Mallett and lastly a Charles(C. E.) Mallett. From what I've been able to pick up from reading several articles is that they were brothers in business together. It turns out that R. G. Mallett was a ticket agent for the Atlantic and North Carolina Railroad Company. 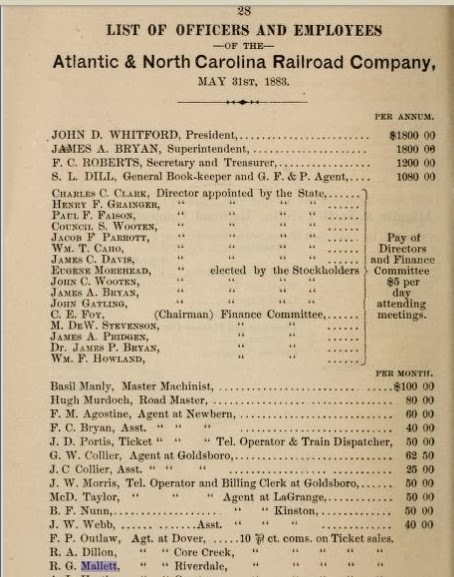 Stockholders of the Atlantic & North Carolina Railroad Co., 1883. It also turns out that he had a bad run in with some machinery. But I digress. Let's go back to Charles Mallett. This name was registering somewhere within me as I stared at it. I didn't know why though. Then I went to Ancestry.com to see if I could find anything on him there. I found out that he was the postmaster at Riverdale at one point. So perhaps Dave Sampson guided me to this information. Perhaps it was a completely random event. Either way, I think I am going to keep researching these Malletts and looking for other tidbits about the Riverdale community in these newspapers. At the very least, I will continue to gain a deeper understanding of the town my ancestors called home. I'd bet on not random, lol. Glad you found the link between your great uncle Sampson and the Mallets. That information was really cool because you discovered your family worked for this Mr. Mallett. Your ancestor just might be leading somewhere. Can't wait to hear. Yes keep us posted! Amazing all the clips you have!